Earlier this year I harvested every bit of it and then started mowing over the garden just like any other part of the yard. 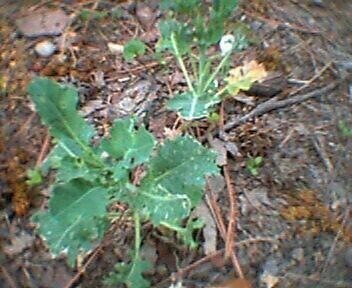 Unlike everything else, this kale (I think thats what it is) keeps growing back after repeated mowings. It will be here to greet the new owner of the house.